What do the following cities all have in common? They are all places that originated robocalls to me in the last day or so. They are also places that I have absolutely no contact with. None of these callers left a voice message. What can I do about the calls? Apparently, not much. 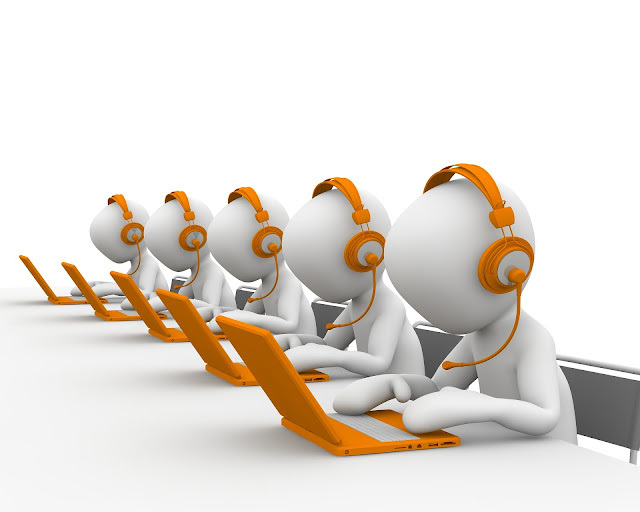 Here is a link to the Federal Trade Commission, Consumer Information, Robocalls. Here is also a video from the FTC about robocalls. What do I do about the robocalls? I do not answer my phone unless I can identify who is calling. If you call me and do not leave a message, I will not call you back unless my caller ID shows that you called. It is a bother, but usually, even when I have the sound on my phone turned on, these calls do not seem to ring through. There are a number of YouTube videos on this subject so if you want to know a lot more, you can watch some of them. Vermont plays an interesting and important part in the migration patterns of the United States. The part of the country that is now the State of Vermont, started as part of the New Hampshire Grants between 1749 and 1764. If you are doing genealogical research in Colonial America and you find that it appears that your family moved from Connecticut or other places in New England and suddenly appear in Vermont, that movement could be the result of a land grant. I have some ancestors who fall into this category. They appear to have lived in Connecticut and then suddenly moved north to Vermont. This seems to violate some of the fundamental rules of cluster research that people stayed in the same small area due to limited transportation, but can be explained by the promotion of land grants in the area of Vermont and New Hampshire. The stage was set for conflicting land claims with the establishment of the Province of New Hampshire by royal decree in 1741. 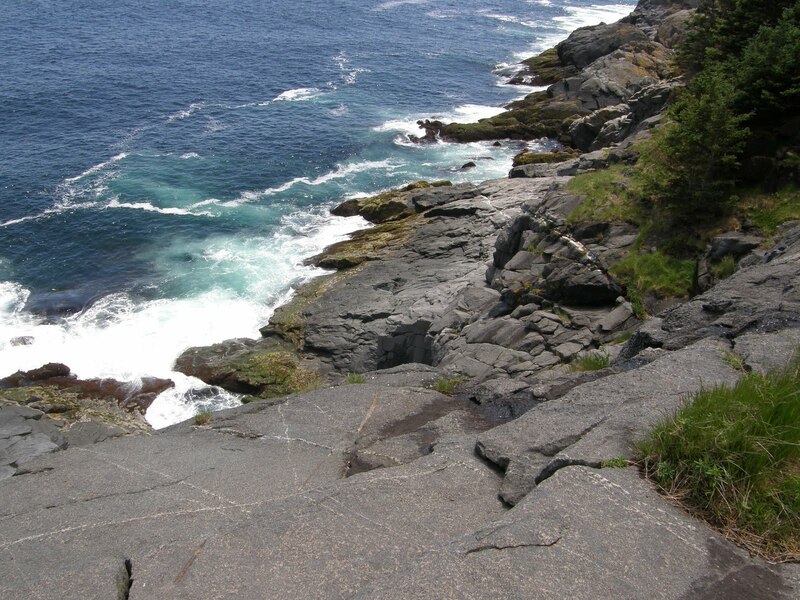 The decree created a line between Massachusetts and the newly created Province of New Hampshire, that included what is now the state of Vermont, on a line north of Pawtucket Falls between the Connecticut River and Lake Champlain. However, the Province of New York also claimed the land and both New York and New Hampshire sold land grants in the area of Vermont and as the competing sales began, settlers from other parts of the country bought land from both the New York and New Hampshire land grants. The first land grants in Vermont began with the appointment of Benning Wentworth as the first governor of New Hampshire in 1741. The six-mile square land grants were purchased by speculators and then divided and resold to settlers. By 1749, New York began to assert its claims by selling its own land grants, some of which overlapped the grants from New Hampshire. Notwithstanding the controversy, Wentworth continued to extend the New Hampshire claims up the Connecticut River. In the 1760s, the dispute between New York and New Hampshire resulted in armed conflict and the Green Mountain Boys militia led by Ethan Allen was organized in response to the dispute. Ultimately, by royal decree, the dispute was decided in favor of New York. The previous New Hampshire settlers' claims were invalidated and some of the settlers lost their land. Those living in the area of Vermont petitioned New York to confirm the New Hampshire Grants and the governor of New York issued an order confirming their ownership but stopping further sales. In 1777, settlers claiming under the New Hampshire Province declared independence from Great Britain and established the Vermont Republic which was in existence until Vermont was admitted as a state in the United States in 1791. This is only a brief summary of the claims and disputes over the land that ended up in Vermont. For a genealogist, the history of this area can be complicated and the dates of the land sales can become an important fact helping to identify ancestors and to explain seemingly random movements back and forth in the Colonies both before and after the Revolutionary War. In 1816, the area of Vermont (and the rest of the United States at the time) suffered the "Year Without a Summer" that caused extensive crop failures due to the explosion of Mount Tambora in the East Indies. Many settlers lost their land in Vermont and moved south to other parts of the country to areas with less severe climates. 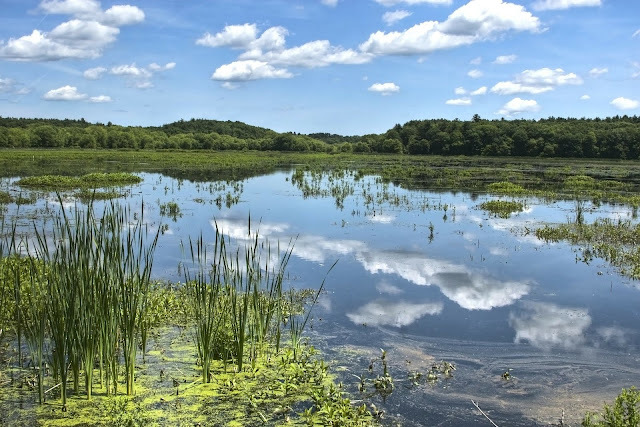 Here are some of the resources that will help with research in Vermont. 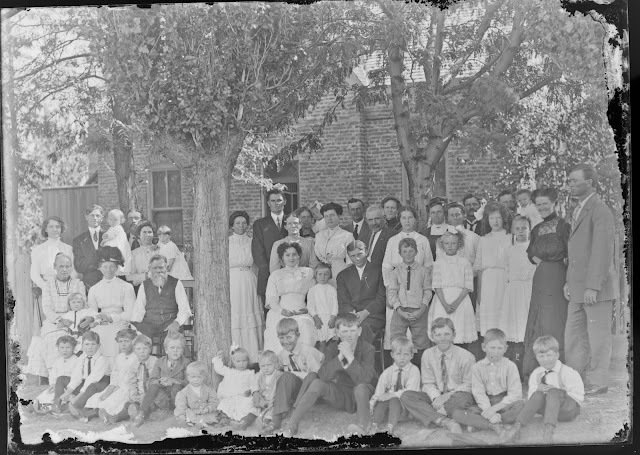 You can find some of these in the Salt Lake Family History Library and listed online in the FamilySearch.org Catalog. Holbrook, Jay Mack. Vermont Land Grantees, 1749-1803: Vermont Charters & New Hampshire Land Grants. Oxford, Massachusetts: Holbrook Research Institute, 1986. Holbrook, Jay Mack, Vermont, and Office of Secretary of State. Vermont’s First Settlers. Oxford, Mass. : Holbrook Research Institute, 1976. New Hampshire. Grants of Vermont Territory by the Government of New Hampshire. Salt Lake City, Utah: Digitized by the Genealogical Society of Utah, 2008. New Hampshire, Governor and Council, Albert Stillman Batchellor, and Hiram Augustus Huse. The New Hampshire Grants: Being Transcripts of the Charters of Townships and Minor Grants of Lands Made by the Provincial Government of New Hampshire ... Also Historical and Bibliographical Notes Relative to the Towns in Vermont. Boston, Mass. : New England Historic Genealogical Society, 1998. Nye, Mary Greene, Vermont, and Office of Secretary of State. New York Land Patents, 1688-1786: Covering Land Now Included in the State of Vermont (Not Including Military Patents). Montpelier: Secretary of State, 1947. http://books.google.com/books?id=RkYjAQAAMAAJ. Vermont, Office of Secretary of State, Franklin H Dewart, Hiram Augustus Huse, Vermont, and Woodbridge (Vt.). Charters Granted by the State of Vermont: Being Transcripts of Early Charters of Townships and Smaller Tracts of Land Granted by the State of Vermont, with an Appendix Containing the Vermont Charter of Woodbridge, the New Hampshire Charter of St. George and Lieut. Andrew F. Phillips Grant and Mortgage Thereof. Also, Historical and Bibliographical Notes Relative to Vermont Towns, Originally Compiled in 1895 by Hiram H. Huse, State Librarian, Continued and Brought up to Date. Montpelier? Vt.: Editor of State Papers?, 1974. http://books.google.com/books?id=D1cjAQAAMAAJ. Here is are links to the earlier case studies posts. This announcement sounds like a good excuse to go to London. FamilySearch.org has put some of the initial information on their website. Here is the link to learn more about this fabulous opportunity. In Arizona and other parts of the Western United States, there were quite a few Basque immigrants who were employed as sheepherders. Most of these were Spanish speaking, but some still spoke their native language. It is estimated that 2% of the Mexicans have some Basque ancestors. See Wikipedia: Basque diaspora. Some of the countries of South America, such as Argentina at 10%, have much higher percentages of Basque ancestry. With the impact of Latin American immigration on the United States, it is almost certain that there is a representative number of Basque descendants here in this country. Most of the genealogists I know if asked for help with Basque genealogy would immediately decline and say they didn't know anything about the Basque people or their language. My position on doing genealogical research is that genealogy is genealogy no matter where or when I am doing research. The website image and link above is a good example. 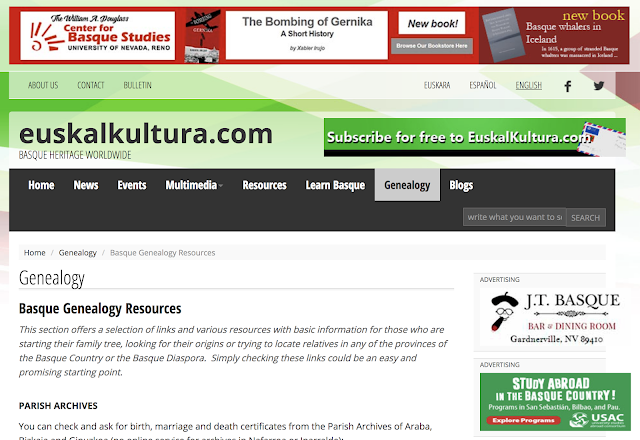 This webpage has a long list of helpful websites for doing research about someone's Basque ancestors. In fact, after a very short search, I found the following additional websites specifically about Basque Genealogy some of which have long lists of additional websites. You could also start with the FamilySearch.org Catalog and look for records in the provinces that are considered to be the Autonomous Community of the Basque Country: Guipuzcoa, Vizcaya, and Alaba. There are also a significant number of Basques in Navarra. All of these, of course, are in Spain. To repeat, when you know how to do genealogical research, you already know how to find the records. You can use the Google Translate program or translate.google.com to translate the Basque language into your own language. Then you do your research just like you would in any other country. In November 1783, future president James Madison traveled from Philadelphia to Annapolis with future president Thomas Jefferson. The trip, which today would take about two and a half hours by automobile, took them four days. Madison traveled on to his home in Orange County at Montpelier, Virginia. Because of bad weather, the journey of about 100 miles took nine days. Until 1790 in the Colonies and subsequently the United States of America, most long-distance travel was done by ship or boat. The only roads in the Colonies were a series of locally built and maintained post roads. This system of local roads became known as the Boston Post Road or the King's Highway. The road was also called the Great Coast Road. The map above shows the approximate location of the road as it finally developed in the 1770s. The first stagecoach service between Boston and New York City was established in 1772. Here is a short summary of the Boston Post Roads from the U.S. Department of Transportation, Boston Post Road. Before European settlers colonized North America, Native Americans had established trails that were used frequently. These paths eventually became portions of post roads, which were used by post riders to deliver mail to the early colonists. The first portions of the Boston Post Road were laid out in 1673, becoming America’s first mail route. In the 1700s, riders carried the Boston News-Letter, widely considered America’s first regular newspaper, along the Boston Post Road with regular mail, sharing information with settlers and connecting towns along the route. In 1753, then-Deputy Postmaster Benjamin Franklin traveled the Boston Post Road to standardize postal rates based on distance. Stone markers were placed at mile points along the route. In 1783, the Boston Post Road carried America’s first long-distance stagecoach service from New York to Boston, corresponding with improvements in the road’s surface that resulted in a faster, safer, and more efficient transportation system. The success of the stagecoach service along this route convinced Congress to send mail by stagecoach instead of lone rider. The outlines of the King's Highway formally instigated by King Charles II in 1660, which incorporated the Boston Post Road, were established beginning in 1650 through 1735. What genealogists who are doing research in colonial America need to realize is that from 1607 until beginning in 1735, about 128 years of our history, there was no generally usable road system along the East Coast of the country. As you can also see from the example of James Madison's travels at the beginning of this post, there was no real road system until the 1800s. The King's highway is roughly 1300 miles long. The time it took to travel is illustrated by this map from Paullin, Charles Oscar, and Charles Oscar Paullin. 1914. [Paullin collection: compilation materials for Charles Paullin's Atlas of the historical geography of the United States, 1932]. Perhaps it would be a good idea to evaluate the dates and places in your research keeping in mind the limitations on travel for the first almost two hundred years of American history. Here is a link to the first case study post. A significant portion of the questions I hear from genealogical researchers involve the dates of the events in their ancestors' lives. 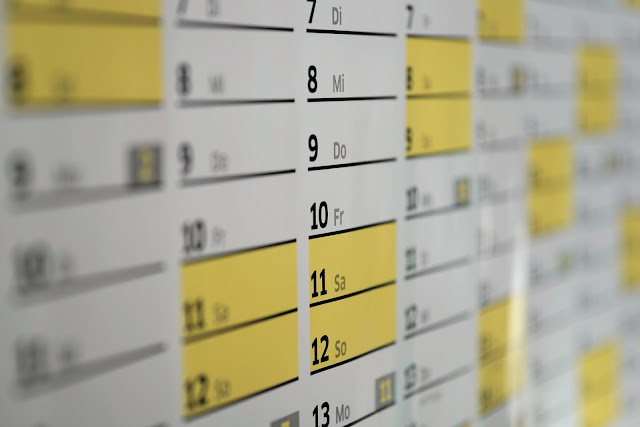 Identifying an accurate date of birth, marriage or death can often determine whether or not the researcher can adequately identify a particular individual. The research challenge comes from the simple fact that dates, as recorded in historical records, are often inexact and sometimes totally inaccurate. 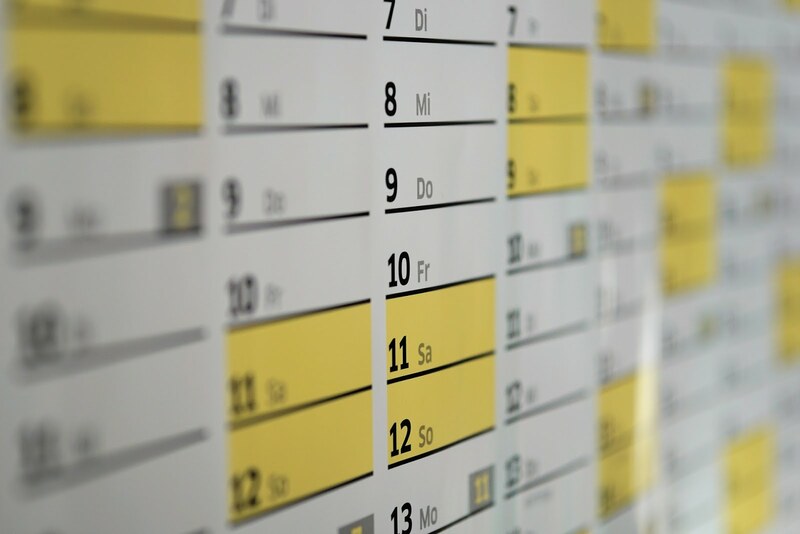 Here are some examples of the challenges in determining exact dates. One of the most common issues with dates encountered by almost all researchers in the United States are the ages and dates from the United States Federal Census Records. These dates illustrate several of the issues that arise as a result of the way the records are created and subsequently interpreted. 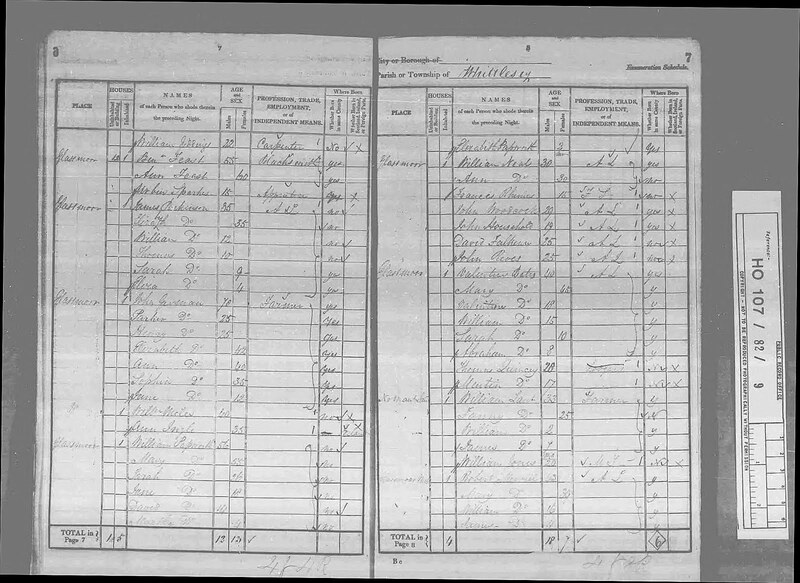 Here is a typical census record from the 1880 U.S. Federal Census. 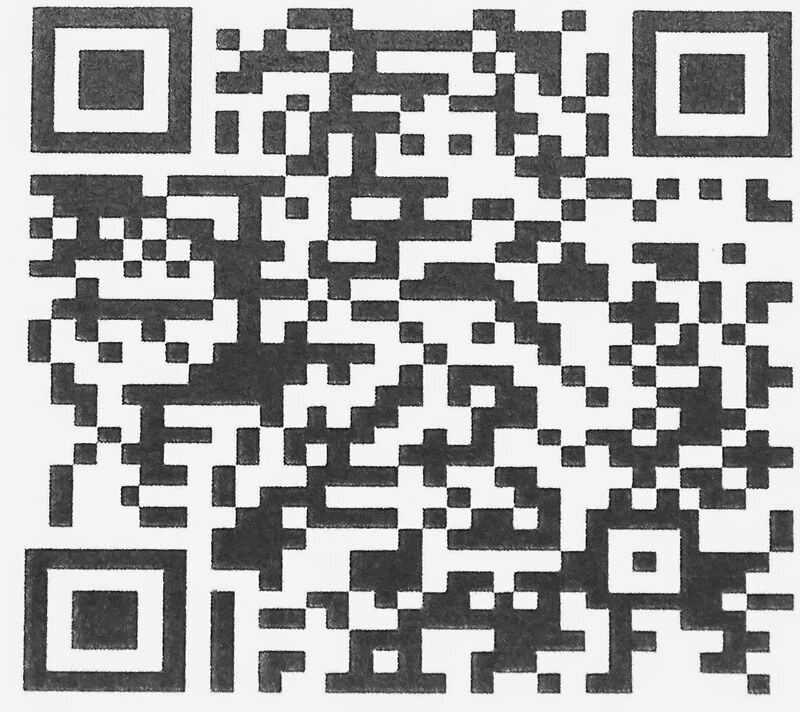 You can click on the image to see the details if you wish to do so. At the top of the census form, the Enumerator signed and filled in the date that says "enumerated by me on the 7th day of June 1880. The writing at the top of the census form says that the Census Year begins on June 1, 1879, and ends on May 31, 1880. The date of the census is June 1st even though the enumerator obtained the information after that date. Another significant statement indicates that people who have died since June 1, 1880, are included. OK, so now we look at the information in the record. My ancestor on this record is Thomas Parkinson. He is shown as being 50 years old. From this record alone when was he born? Can I merely subtract his given age of 50 from 1880 and say he was born in 1830? Should I record his birth year from the census as "about 1830?" How do I know if the information about his age is correct? Did he know his own birth date? 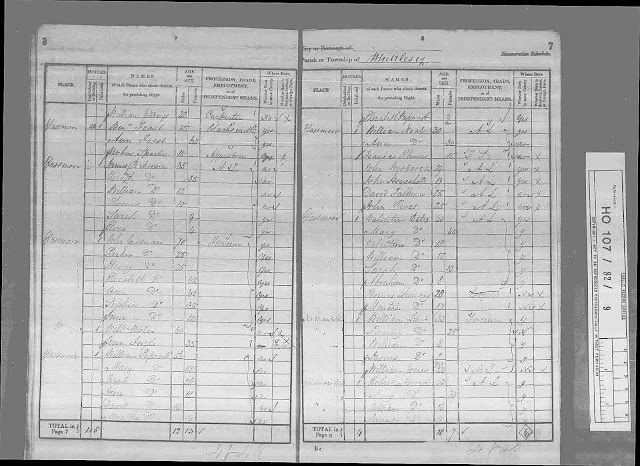 An entry in the FamilySearch.org Family Tree shows that he was born on 12 December 1830. So how old was he when the census was taken? He was 49. His 50th birthday would not have been until December of 1880. Any calculations of his age from this census record would be approximately correct but only because his age was incorrectly recorded. Let's look at some different records for Thomas Parkinson. Here is his birth and christening record. This record says that he was born on 12 December 1830 and christened on 12 January 1831. Most genealogists would automatically enter this information into their records as both settled and correct. When was this record created? Who provided the information about the birthdate? One thing that I often see is that someone will enter the same date for the birth and christening. Here those two events took place in different years. Here is another record. 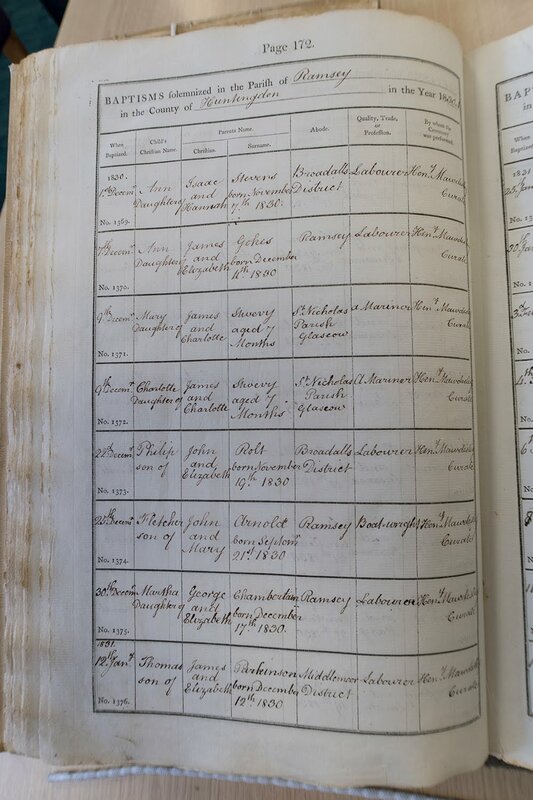 This is a record of the 1841 England and Wales Census for Thomas Parkinson as a child. This record says he is 12 years old. If I subtract his age from the date of the census, I could conclude that he was born in 1829. The date of the 1841 England and Wales Census was the night of 6 June 1841. How old was Thomas on that date? Remember, according to the christening record he was born in December 1830 so he would not have been one year old until December of 1831. If we simply subtract 12 from the date of the Census of 1841, he would be born in 1829. Did he turn 12 or 13 in 1841 or neither? If he was really born in 1830, he would have turned 10 years old in December of 1840. So, in June of 1841, he would only be 10 years old until he turned 11 in December of 1841. Who got the date right? There is a huge difference between asking someone how old they are and asking them when they were born. What did the census record enumerators ask the people? Some researchers would simply ignore the dates in the census records as unreliable. What if the christening record is wrong? There are a lot of other situations that can influence the dates that we find in historical records. One important one is the change in the calendars from "old style" to "new style" back in the 1700s. Also, many of the dates entered in the records are simply wrong. What if the person lied about their age for some reason? As we do genealogical research, we need to remember that we are relying on historical records and that these records are not necessarily accurate. We do the best that we can and make the best conclusions that we can, but we always need to be open to correction from subsequently discovered records and documents. From the chatter online, even though I wasn't at RootsTech 2018 because of being in Annapolis, Maryland, I did see a measure of complaints about some of the way the program was implemented. From the above page, it looks like FamilySearch is making a good effort to resolve some of the more egregious problems. If you were one of the ones who complained, take time to read the above page. If you don't want to take the time to come to my blog page, you can see all my posts on my Genealogy's Star Facebook page. I am posting everything from all my blogs to the Facebook page. Here is the link. This notice showed up on the Ambassador Facebook page for RootsTech 2019. They will be hosting a Facebook Live video next Tuesday, August 28th at 7 a.m. MDT (9 a.m. ET). I will miss the live video because we will already be working in the Maryland State Archives digitizing records. But I will post the announcement once I get back to my computer. Salt Lake City, Utah (22 August 2018), FamilySearch International announced today that David Rencher, AG©, CG, FIGRS, is the new director of the popular Family History Library in downtown Salt Lake City, Utah. He succeeds Diane Loosle, who is fulfilling other leadership needs. 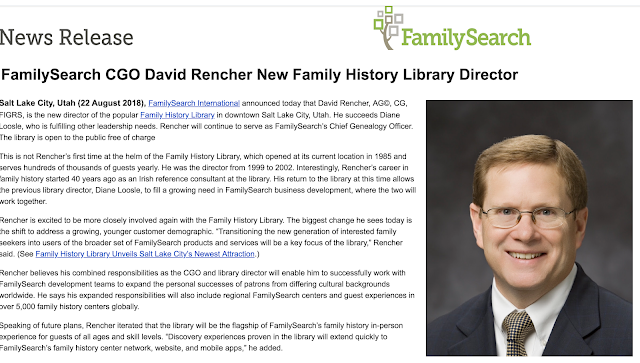 Rencher will continue to serve as FamilySearch’s Chief Genealogy Officer. The library is open to the public free of charge. At the same time as the announcement, FamilySearch also published a blog post entitled, "9 Questions for David Rencher, FamilySearch CGO and New Family History Library Director." I look forward to being able to visit the Family History Library again when we return to Utah. The first land company was established by Sir Walter Raleigh as the Roanoke Colony. The settlement was established in 1585 but after much difficulty, the colony had completely vanished by 1590. In 1606, a group of wealthy Londoners formed a joint-stock venture company called The Virginia Company of London and obtained a royal charter from King James I. Here is a quote from the website HistoricJamestowne.org about the charter. The initial public reaction to the Company was favorable, but as the mortality rate at Jamestown rose and the prospect for profit grew dim, financial support for it waned. The leadership resorted to lotteries and went so far as to attempt silkworm production at Jamestown. As industries failed, the promoters of the Company argued that converting the Virginia Indians to Christianity was a worthy goal for the venture. Tobacco cultivation finally provided a profitable return, but it came too little too late to save the Virginia Company. After the Indian Massacre of 1622 killed hundreds of settlers, the king revoked the Company’s charter in 1624 and made Virginia a royal colony under his control. The passengers on the Mayflower in 1620 had obtained a land patent from the Virginia Company of London. But they landed too far north and technically had no right to land along the Massachusetts Bay. Here is a short summary of what happened as taken from Wikipedia: Plymouth Colony. The congregation obtained a land patent from the London Virginia Company in June 1619. They had declined the opportunity to settle south of Cape Cod in New Netherland because of their desire to avoid the Dutch influence. This land patent allowed them to settle at the mouth of the Hudson River. They sought to finance their venture through the Merchant Adventurers, a group of businessmen who principally viewed the colony as a means of making a profit. Upon arriving in America, the Pilgrims began working to repay their debts. Land ownership was an issue because by settling in the Massachusetts Bay, the Mayflower passengers and later arrivals did not have clear ownership of their land because they landed in the wrong colony. Here is a short reference to the legal status of the Mayflower passengers from The Plymouth Colony Archive Project. Governor Bradford and other prominent officers of the Colony realized the riskiness of proceeding without a royal charter for their venture. They instead possessed only a land patent issued by the New England Council, a private corporation which did not possess the authority to grant the colonists any right to self-governance (Langdon 1966: 188). Bradford, Isaac Allerton and others attempted repeatedly over the years of the Colony to obtain a charter from the Crown. They failed to do so, and Plymouth Colony ultimately lost its self-governance and was annexed as part of the Massachusetts Bay Colony in 1691. A list of the English land grants in America can be found in the following article entitled appropriately, "English colonial grants in North America (1621–1639)." Settlement of the English Colonies in America is basically the story of the land grants and the efforts of their promoters. For example, according to the Mayflower passenger list, only about a third of the passengers were Puritan Separatists who were attempting to break away from the Church of England, the rest were indentured servants, hired hands, originally destined for the Virginia Company of London. I could continue with examples up to the current day when some of us purchased a house and lot in a subdivision created by a land development company. If you look into the history in this way, through a filter of land development, you will soon understand a lot about the settlement and movement of people. 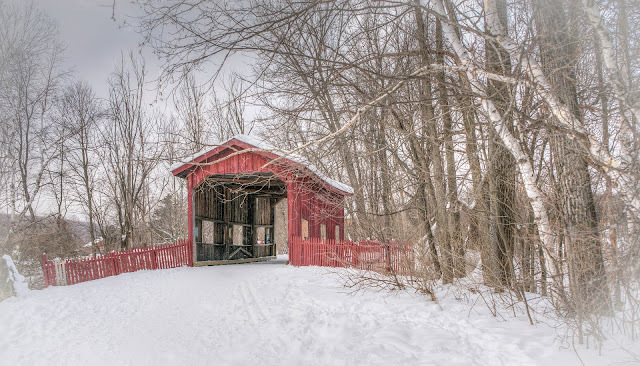 This background information will help to explain why people moved from Connecticut to Vermont or from New England to Ohio. Quoting from the Journals.Elsevier.com website about the journal, "Pattern Recognition." Genealogy is really all about patterns. This fact was recognized many years ago when genealogists began applying what is known as "cluster research" to their research. Cluster research consists of adding research to the extended family, friends, and neighbors of ancestors. But pattern recognition is much more than cluster research. 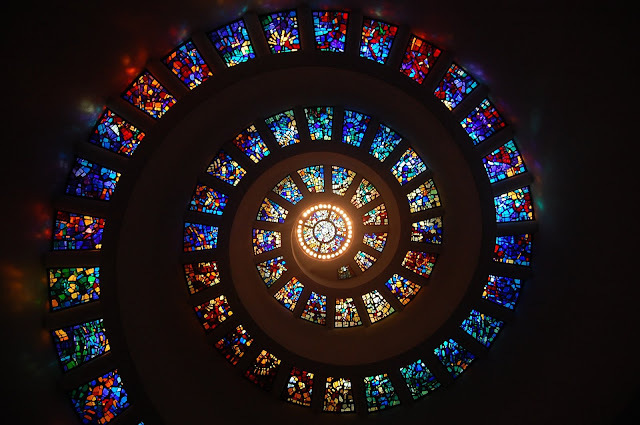 If genealogists were to use pattern recognition, they would have to add research into the historical, cultural, social, religious, and occupational background of their families. I ran into an issue of pattern recognition recently when I discovered a family line living in the county of Kent, England. So far, for this family, the predominant occupation is that that of basketmaker. It appears that basketry extends back generations. In doing some research about individuals who were basketmakers, I found that traditionally, this occupation was practiced by those of Romi or Romany descent. Now, I am beginning to see a pattern and even when the individuals move to other areas of England, I can see how their trade of basket making has been preserved. This particular pattern begins to disappear during the development of the industrial revolution in England. Failure to view genealogical research as based on reconstructing family patterns is probably one of the most limiting factors in genealogy's acceptance as an important academic pursuit. To begin using basic pattern recognition techniques to advance genealogical research, there needs to be a greater emphasis on placing the family within the context of its entire background. The most basic pattern is that of where events in a particular family occurred. The current emphasis in genealogical research is on adequate documentation of the family relationships. This goal is usually referred to as conducting a reasonably exhaustive research effort. However, simply looking for documents and other sources about the family begs the issue of actually identifying the family in the context of its existence as a patterned entity. Granted, there are some very competent genealogical researchers that have knowledge of the history and backgrounds of their families, but the most genealogists concentrate only on "genealogically significant" records. Take for example a core family unit. Looking at a family as merely a biological unit is tantamount to looking at the world in black and white rather than color. There is amazing detail in black and white photographs but there is a whole dimension of additional detail given when the photos are in color. When we move into the realm of online, digitally based genealogical research, it is easy to stay at the searching for names level of genealogical research. Moving beyond that level may actually involve reading a book or visiting the area where your ancestors lived. It may also involve a lifetime learning process of gaining sufficient knowledge about the history, geography, and culture of the places where your ancestors lived to reach the level where you know who they were and who their ancestors were. I am only beginning to recognize the patterns of my own ancestors after more than 36 years of research. But the benefit of what I have learned helps me to do original research for unknown family members with more accuracy than I could have believed possible even a few years ago. For many years now, I have been living on Internet time. Since moving to Annapolis, Maryland on Eastern Daylight Time and away from my usual Mountain Daylight Time, I am becoming even more disassociated from any regular time schedule. It is sort of like living with perpetual jet lag. When I post something on my blog, the time stamp usually shows Pacific Daylight Time. I can also set any time, day or night, for the blog to automatically post. In addition, I post from many different places around the United States and into other countries. Consequently, my blogs are almost entirely disassociated with any particular local time. In addition, I receive email in a constant stream from around the world. I rarely notice the time when the email was written and my response could be any time during both the day and night depending on when I have time to respond. Right now, I am regularly corresponding with someone who is living in Poland. The emails show postings at midnight and in the early morning. My responses do not correspond to any actual time in Poland. You might be only vaguely aware, but there is a Coordinated Universal Time (UTC). 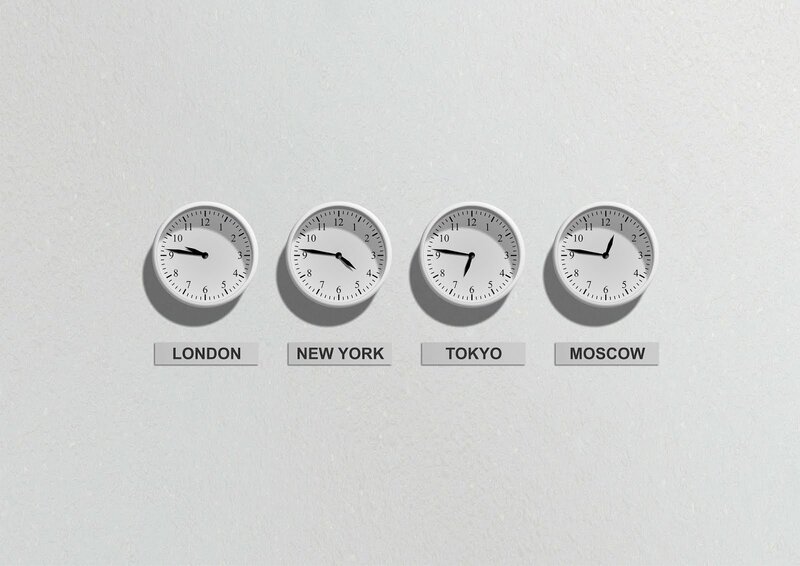 Universal Time originated from the International Meridian Conference in 1884. The starting place for time is the Prime Meridian, a transit circle through the Royal Observatory in Greenwich, London, England. All this doesn't really help with the problem that any local time of day is arbitrarily determined and changes constantly around the world. For example, my relatives in Australia have three time zones. Like those in the United States, rather than being straight lines north and south oriented, they correspond roughly to the Australian Provinces. 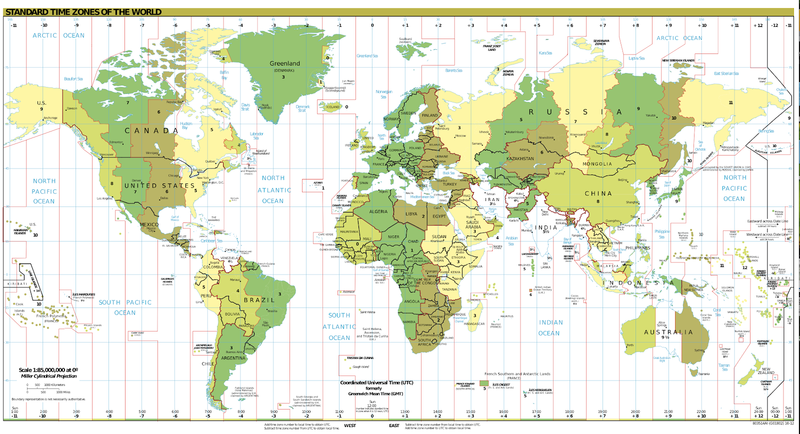 Here is a map showing the time zones of the world. Here is the United States, we also have Daylight Savings Time. To add insult to injury, twice every year the "time" changes for obscure historical reasons that make little sense in a world that operates like I do, 24 hours a day. So, I you wonder if I ever sleep? The answer is obviously yes, but I may be working at any given time day or night. In this extensive series, I will be focusing on migration patterns in that part of North America that has become the United States of America. This will be a multipart series with each post featuring a particularly important migration route and its associated geographical, cultural, and historical context. Minimally identifying our ancestors depends on knowing their names, dates associated with events in their lives, and the exact places where those events happened. We learn most directly about our ancestors by researching the records that were created at or near the time the events in their lives occurred. These records are sometimes referred to as primary sources. Any other records made after the event or made by someone who was not present at the time of the event, are usually considered less reliable and are referred to as secondary sources. For example, a birth record made by someone who witnessed the birth would be considered a primary source. A birthdate on a death record would be a secondary source. However, the reliability of the record can be entirely independent of whether or not the record is a primary or secondary source. The more you know about your ancestors, the more accurate you will become in evaluating the accuracy and consistency of records whether primary or secondary. As we begin to accumulate ancestral information, we will inevitably discover that some of our ancestors seem to disappear from contemporary records. There are other records that may not mention your ancestors at all that can be valuable to reconstruct events in your ancestors' lives. These records help point you to where records about your family may be found. Knowing the cultural and historical context of your ancestors can help resolve end-of-line or "brick wall" problems that will inevitably arise in the course of doing genealogical research. 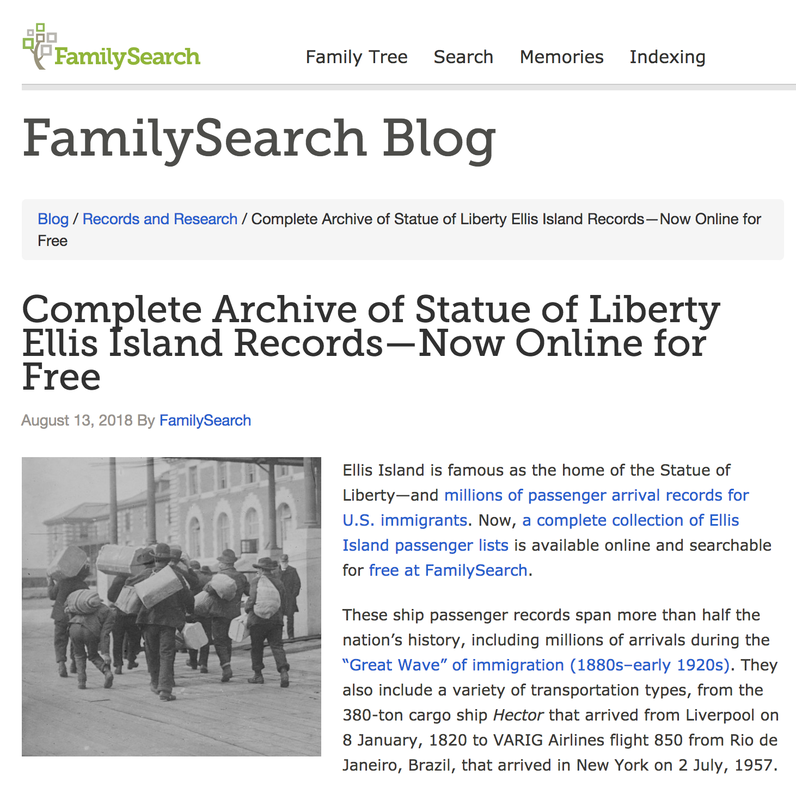 With a background in identifying and understanding migration patterns, a genealogical researcher has an important perspective that can provide suggestions about where to look for additional records. Ignoring history and culture is like trying to find a pin on the floor in a dark room. Migration is a general term used to refer to movements of people from one geographic area to another. The term "immigration" has a political overtone and usually involves a change in national citizenship. It also refers to people moving from one country to another. For example, before the American Revolution and the establishment of the United States of America, British citizens moving from England to the British Colonies were not technically immigrants because they did leave British jurisdiction. But those people who came from the British Isles to America were part of a population migration. As I stated above, I intend to focus on migration within the United States. There were a number of European countries that established settlements in what is now the United States of America. Here is a list of the main countries, the name, date, and current name of the location of their earliest settlements. France settled in Florida (South Carolina) in 1562 but were all killed in 1564 by Spain. 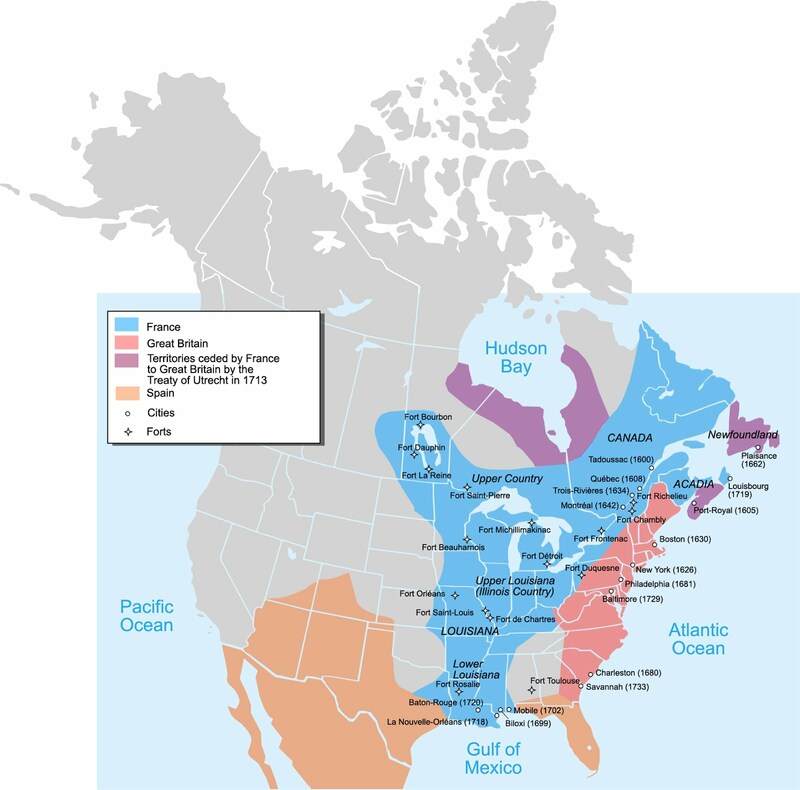 By 1750, here is an illustration of the parts of the North American continent claimed by the European countries. With the exception of the Spanish settlements in Mexico and the Southwest, the original colonial claims and settlements were all located on the coast or associated with major waterways. This population distribution is reflected in the fact that even today a high percentage of the U.S. population lives in counties directly on the shoreline. 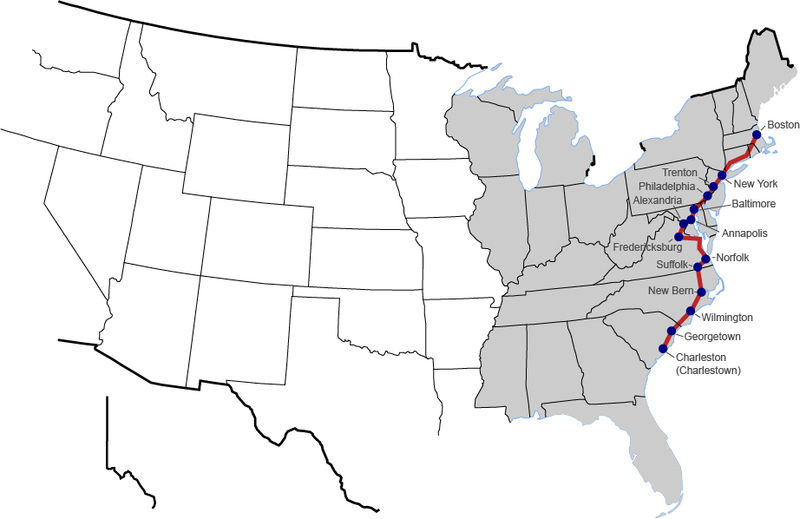 See "What percentage of the American population lives near the coast?" It wasn't until the mid-1700s that there began to be any movement away from either the coast or the major waterways into the interior such as the Chesapeake Bay. See Wikipedia: "List of North American settlements by year of foundation." See also, "Settlement of the Coastal Plain, 1650-1775." Migration into the interior of the country did not get started until the 1700s. From the standpoint of genealogy, this is an important concept. As genealogists begin tracing their families across the country, if they arrived before the mid-1700s, they lived along the coastal regions. Some of the earliest settlers were Ulster Scots also referred to as Scotch-Irish. Other settlers included German-speaking people from the Palatinate region of Europe. 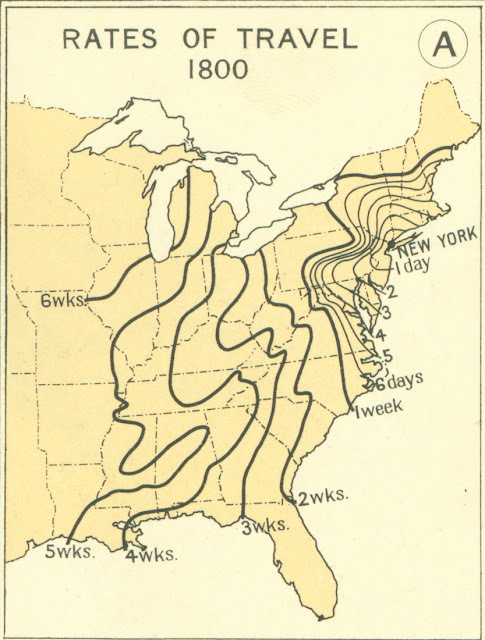 The earliest movements were into the western parts of Pennsylvania, Virginia, and Maryland. See Wikipedia: Appalachia. To get some idea of the time periods involved in the western movement of settlers here are some dates of the first settlers in some of the second tier states away from the coast. Ohio: "On April 7, 1788, Ebenezer Sproat and a group of American pioneers to the Northwest Territory, led by Rufus Putnam, arrived at the confluence of the Ohio and Muskingum rivers to establish Marietta, Ohio as the first permanent American settlement in the Northwest Territory. Marietta was founded by New Englanders." See Wikipedia: History of Ohio. Kentucky: "1774: Harrodsburg was established as the first permanent settlement in Kentucky. Settlements at Boonesboro, St. Asaph, and Danville soon followed." See Kentucky History Genealogy, FamilySearch Wiki. Tennessee: "The first settlement in Tennessee; that is, the North Holston settlement in the present county of Sullivan, and the South Holston settlement, on the Watauga, in the present county of Washington, were effected between the Treaty of Hard Labor in 1768, and the experimental survey of the Virginia-North Carolina line in 1771, while all the territory so settled was still believed to be a part of Virginia." See "Why the First Settlers of Tennessee were from Virginia." In future posts, I will be discussing specific migration routes and the patterns that accompany them. 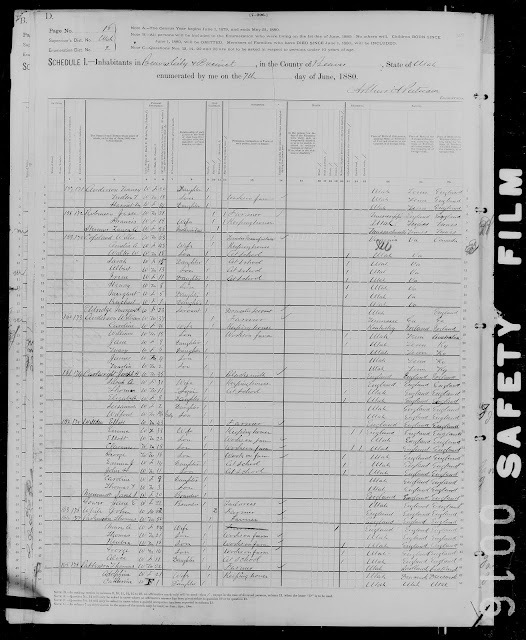 A recent blog post from FamilySearch.org announced that the complete archive of Ellis Island passenger records is now available. Here is the post. These passenger lists document over 13 million immigrants and international travelers who arrived in New York City beginning in 1820, when the federal government first required ship captains to submit lists of passengers to customs officials. 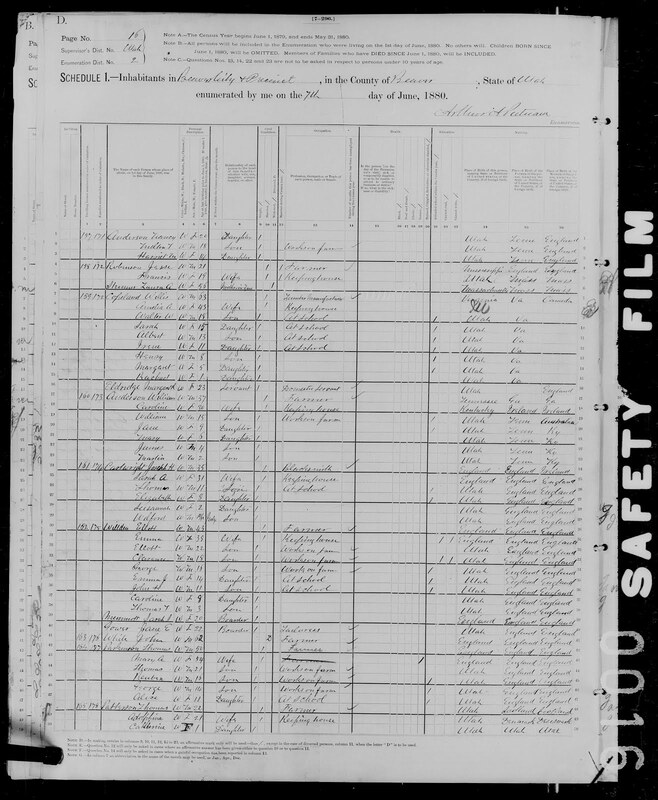 Among these records are customs passenger lists for those who arrived at Castle Garden, the State of New York’s official immigrant reception facility, during its years of operation (1855–1890). You can search the name index for your ancestors or browse the record images. This is a searchable index of 25 million names of immigrants and international passengers who arrived at Ellis Island from 1892 to 1924. Once you find a name of interest, you can click through to view individual record images at FamilySearch. If you’re interested in seeing a photo of the actual ship your ancestor travelled on, or learning more about Ellis Island as a historic port of entry into the US, check out the free Statue of Liberty-Ellis Island website. 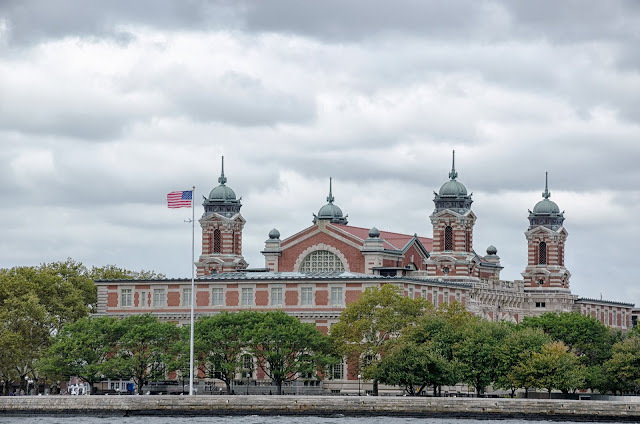 Search nearly 29 million indexed names (and over 5 million record images) for these lists of post-Ellis Island-era international arrivals in New York Harbor and at New York airports. Not sure when your immigrant ancestors arrived? Here’s a tip: If they were alive between 1900 and 1930, look them up in the 1900, 1910, 1920 or 1930 U.S. censuses. There should be a column indicating their year of arrival. Still not sure? Search for their names in all three of the passenger list collections—it’s free. 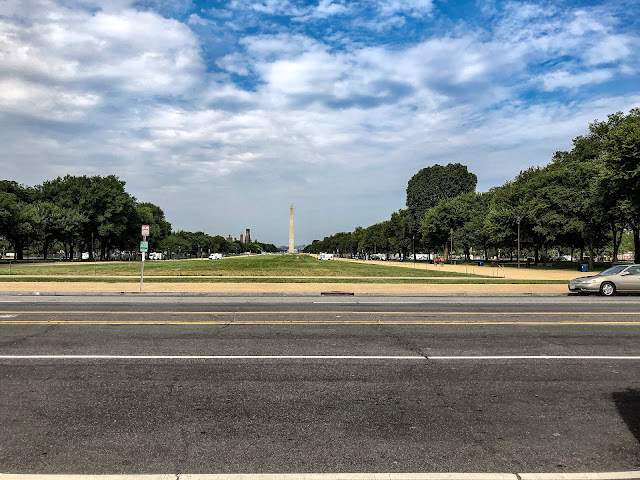 One of the amazing features of our nation's capital is this huge open space called "The Mall." Somehow, that term became applied to shopping centers, but here in Washington, D.C., this is the background feature to all of the other tourist attractions. The Mall has been the location of some of the largest public gatherings in our history. But on an ordinary day, it is mostly a place for walking and other recreational activities. By the way, it is hard to make a huge lawn covered field into an attractive photo. See more of my photos on WalkingArizona. 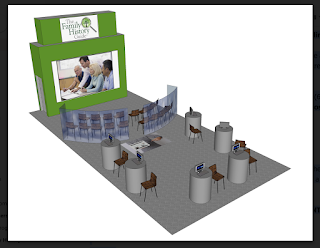 Attending a Virtual Expo is a way to participate in a genealogy conference without spending the money and time it takes to travel to the conference location. You can participate from the comfort of your own home. Additionally, FamilyHistoryExpos.com can bring you a quality genealogical education experience without incurring those same costs. Here is an explanation about how a Virtual Expo works. Join Family History Expos and researchers from around the world as we celebrate 15 years of service to the genealogy community! We have chosen "Pirates of the Pedigree" as our theme for this amazing event. With the advent of the internet and digital documents, we are surrounded in a virtual sea of opportunity. But too often the ancestor you are seeking is lost in the records. At this Expo, we will share experiences, resources, and techniques that will assist you in discovering which records may hold the clues to locating the correct ancestor from all the rest. Public viewing of some classes will be available at no cost. Those attending free classes offered without registration will enjoy the slideshow presentation of the presenter only. To view classes at no cost, simply click the link provided in the Agenda (check in early to assure yourself a spot in the broadcast). You can find out more about the schedule and classes and also register by clicking on this link. We found this lovely and peaceful and apparently hardly visited memorial outside of the Mall area of Washington, D.C. There were a few people passing through and one person sleeping on a bench, but otherwise, this lovely and touching place was deserted. I don't recall ever seeing it listed on any of the "places to visit" in Washington, D.C. either. It is the American Veterans Disabled for Life Memorial. The longer we stay in Maryland, the more things we find. Have you considered donating to The Family History Guide? For the past few of years, my wife and I have been directly involved with The Family History Guide. This is a free website that is a structured educational program that solves the problem of learning how to do genealogy or family history. However, over the years as we have been associated with The Family History Guide, the website has evolved into a major genealogical resource. It is a remarkable program. However, the entire website has been developed and is entirely operated by donated labor. In fact, the entire website and all of its associated presentations and programs depend entirely upon donations. So, it should not be a surprise to learn that we have another organization called The Family History Guide Association that is the fundraising support organization for the The Family History Guide. I happen to be the Chairman of the Board of Directors of The Family History Guide Association. The Family History Guide Association is a 501(c)3 charitable, non-profit organization and donations are tax deductible. Our mission is to greatly increase the number of people actively involved in family history worldwide and to make everyone's family history journey easier, more efficient, and more enjoyable. Supporting The Family History Guide is a major way to advance family history and genealogy throughout the world. 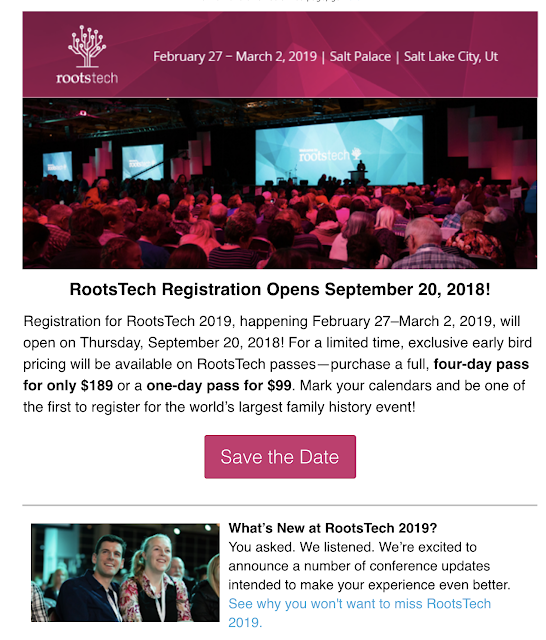 With the upcoming RootsTech 2019 Conference, we need to get serious about our fundraising efforts. I recently received the following letter from my associated, Bob Ives who is the Executive Director for The Family History Guide Association. 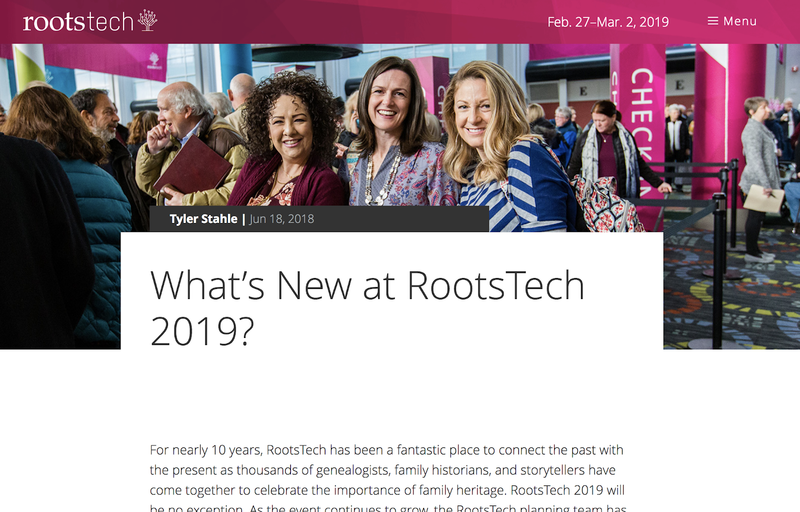 This letter outlines our goals for fundraising just so we can participate in RootsTech 2019. I would hope that you would give serious consideration to the needs of the organization. If you have any questions, please feel free to make comments to this post or contact us through The Family History Guide Association website. Here is the letter. Please let me take a few minutes of your time to update you on what has been happening with The Family History Guide and the impact our work is having. Thanks to your support in the past we have had wonderful success in our mission to make family history easier, more efficient and more enjoyable in over 150 countries around the world. We do this through our Family History Guide Association which is a 501c3 charitable nonprofit and donations from individuals like you and organizations such as the Ashton Family Foundation and the Larry H. and Gail Miller Family Foundation. We have over fifty volunteers worldwide who provide their expertise to their local geographic areas in the form of training, presentations and other support to people who want to get started in family history. These Regional Trainers are on four continents including North America, Europe, Africa and Australia. Each year we reach thousands of people by providing demonstrations and mini-classes in our 600 sq.ft. booth at this show. 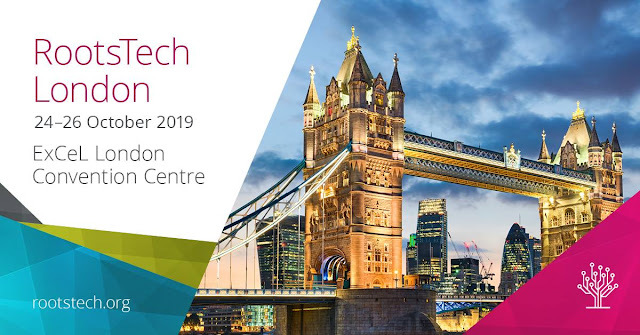 Our main presentation last year attracted a standing room only audience of over 800 people and was introduced by international television personality, Troy Dunn! 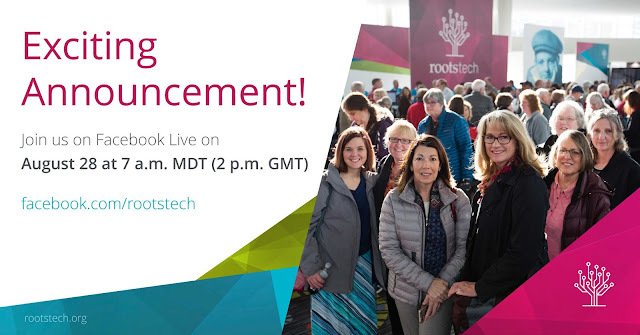 We have already been accepted to do another main presentation and booth for RootsTech 2019. Click HERE to see more information. 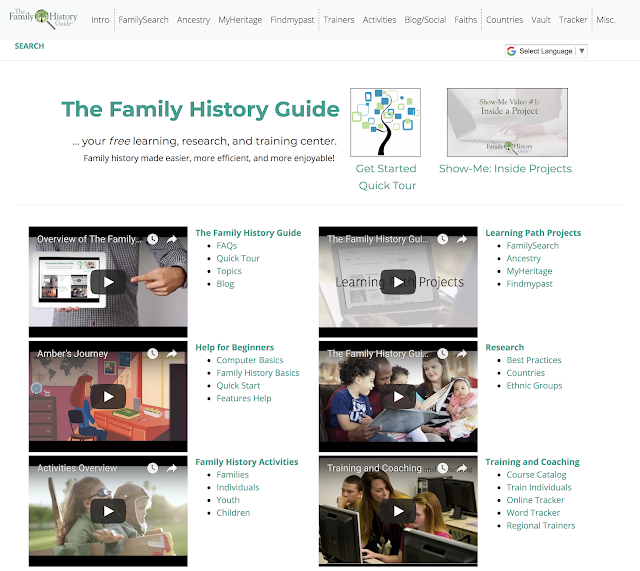 The Family History Guide is unique in that it provides over 200 activities focusing on family history. Nowhere else is there such a focused assortment of focused, non-denominational activities to help strengthen relationships and ties within families. Step-by-step focused training is the hallmark of The Family History Guide. This is unique to the family history/genealogy industry. we have collected the best resources available throughout the world and combined them into a best-in-class training program for everyone from beginners to seasoned genealogists. Indeed, we have put the world of family history research at everyone's fingertips. Click HERE for a short video explaining our process. We provide unparalleled, in-depth training for anyone who needs to teach a class in family history. Our COURSE CATALOG provides dozens of coordinated classes from 15 to 45 minutes in length that anyone can use in virtually any setting. Our training is fast becoming the standard in the industry. We are partners with Family Search for training (see here) and are referenced on LDS.org. We recently became one of the first of the new Registered Solutions Providers for Family Search. This year we have produced and released over twenty new videos highlighting specific areas of The Family History Guide. In addition, we have a major social media presence on 3 Facebook sites, our own YouTube channel and Twitter, Pinterest, and our weekly Blog site. We have been recently recognized as a GOLD member by GuideStar the international clearinghouse for non-profits. If you or someone you know would be willing to donate toward either of these two projects or to the association, in general, please visit this link DONATE. If you would prefer to donate directly by check or through a program such as the Fidelity Fund, please contact me directly (coo@thefhguide.com) to make arrangements. THANK YOU SO MUCH FOR YOUR SUPPORT AND ENCOURAGEMENT IN THE PAST!! Here is the booth layout. Are Hard Drives on the Way Out? 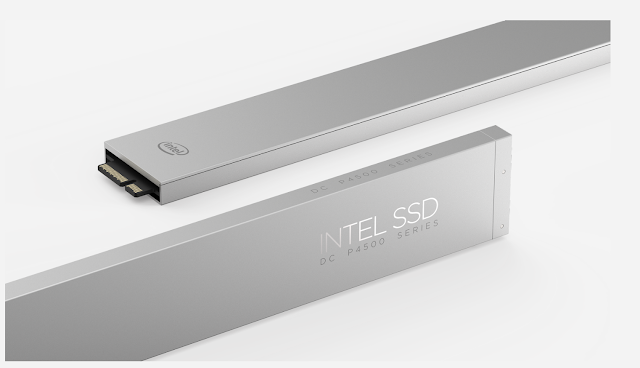 Intel Corporation has introduced its 32 Terabyte SSD called "The Ruler." Sales of this device are currently being aimed at data centers. Not even the most determined genealogist could load up one of these drives. The new Intel SSD DC P4500 is 12 inches by 1.5 inches, and a third of an inch thick and is currently the world's densest SSD. Theoretically, the manager of a server farm could pack 32 of these devices into a 1U Server rack and have 1 Petabyte of memory in a space that is 6" x 30". 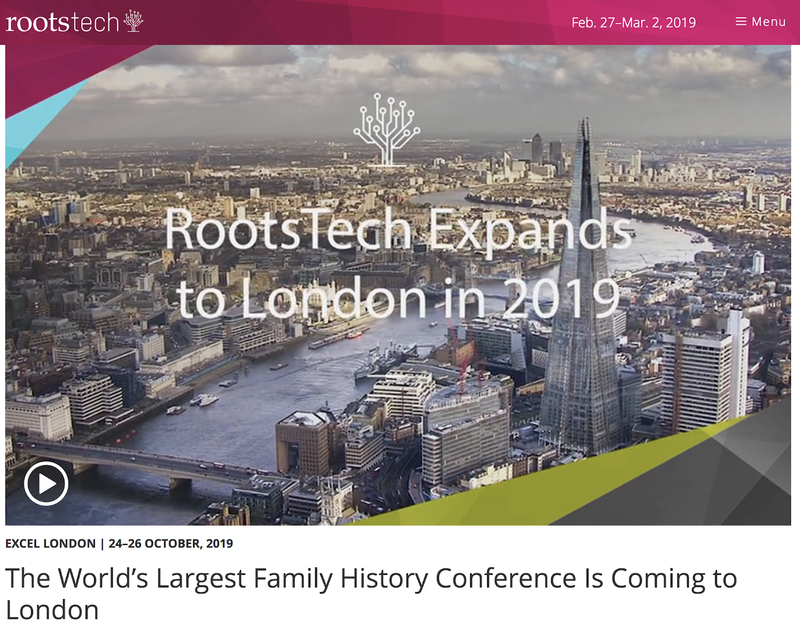 What does this new device mean for genealogists? If you have a computer, you are probably using a hard drive although some of the newest computers come with SSD memory (Solid State Drive). You are probably also familiar with the ubiquitous "flash drive" or "thumb drive." In addition, if you are backing up your data, you might have one or more external hard drives. Most of the higher capacity SSDs are being sold as "internal" hard drives either with new computers or as an upgrade to an existing computer. The cost of high capacity external SSDs is not presently competitive with hard drives in the retail market. The fact that such a drive exists and is being sold by Intel will begin to dramatically affect the cost of storage media whether it is hard drive storage or SSD. Currently, a 12 Terabyte hard disk drive on Amazon costs about $640 which comes out to about $20 a Terabyte. An 8 Terabyte (TB) hard drive is about $150 or about $18 a Terabyte. However, the initial cost of a hard drive vs. an SSD has to take into account the cost of the operation of the drives. The Intel Ruler requires 1/10th of the power and about 5% of the size of conventional hard disk drives. Samsung is also in the race for high capacity SSDs. Their next generation Small Form Factor (NGSFF) storage could be configured to have 288 TBs in a 1U Server. Right now, these high capacity SSDs cost into the thousands of dollars each, but with competition, these prices will start to drop quickly. This is all good news to genealogists and to anyone who has a need for a lot of digital storage capacity. Did your ancestor die of the Spanish Flu? I began reading a book entitled, "Pale rider: the spanish flu of 1918 and how it changed the world" by Laura Spinney and published in 2018. One statement made in the book caught my attention. The author pointed out that if you were to ask someone today about the most serious catastrophe of the 20th Century, you would probably get a response about World War I or World War II. 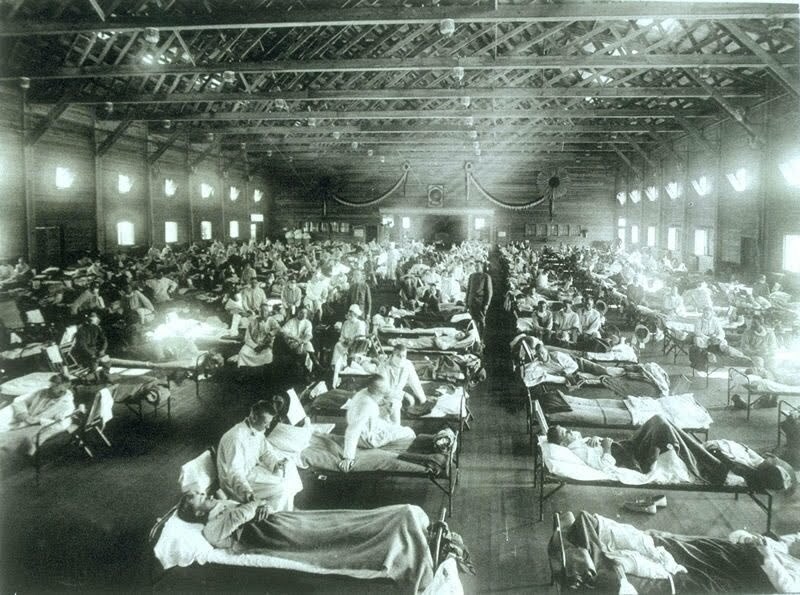 The Spanish Flu pandemic of 1917-1918 has generally passed from our collective knowledge. But the reality is that the Spanish Flu pandemic infected an estimated 500 million people, about one-third of the population of the entire world and killed 20 to 30 million people, more than the two world wars combined. It also killed about 675,000 Americans, more than the entire Civil War. It would be unusual that the Spanish Flu pandemic did not affect your ancestral family no matter where they lived in the world. For example, I did a search on FamilySearch.org for records of people who died in 1918 with my surname. I found 217,637 entries. Of course, I could not tell how many of these people died from the flu. So I went to Ancestry.com and did the same type of search. Once again, I got a huge number, this time over 1,196,000 entries. I got even more entries with a search on MyHeritage.com. So, we know a lot of people died, but finding out if they died of Spanish Flu can be quite a challenge. The main reason for this challenge is that the medical community did not know, in many cases, the exact cause of death and in many other cases, the cause of death is not reported. What is known is that when people disappear from the records in about 1918, there is likely a connection with the pandemic. This is particularly true when you see multiple deaths in the same family in this same time period. These types of events, wars, pandemics, natural disasters, etc., cause discontinuities in family records and in the records of entire communities. As I have written recently, a lack of historical perspective about the times and places our ancestors lived is a serious impediment to our accuracy and completeness in doing genealogical research. Maybe it is time to take a few history classes or read some books about the history of the places and time where and when your family lived. What Do You Know About History? Have you ever wondered how your ancestors lived? What did they wear? What did they eat? Where and how did they work? What did they do when they got together as a family? Photos are helpful, but what about those ancestors that lived before photography was invented? Unless you happened to be interested in history or took history classes, you are likely to be about average in your level of knowledge of the history of the country where you live. I had a lot of history classes while getting my degrees and have continued with an interest in history by reading a lot of books about different aspects of history. But I would not consider myself to be conversant in the history of some of the countries where my ancestors lived. Over the years as I have focused on doing research in a particular country, I have "read up" on the history. For example, when I started doing research in Ireland, I began reading up on Irish history. This is a never-ending process. I think a better way to look at the need to know the history of the places you are researching is to ask what happens when you don't know the history. For example, during and after the U.S. Civil War approximately 620,000 soldiers died from combat, accident, starvation, and disease. See https://www.battlefields.org/learn/articles/civil-war-facts. To take this further, about 1,264,000 American soldiers have died in all the wars, this means that about half of all the soldiers in all the wars died in the Civil War. Now, if you had an ancestor that seemed to disappear from the historical record during the time from 1861 to 1865 and was from about 14 years old to about 40 years old, wouldn't it be reasonable to investigate whether or not he ended up fighting and perhaps being killed in the war? As for Ireland, a good example is the time period between 1845 and 1849. This time period is called the an" Gorta Mór" or Great Hunger. In the U.S. it is referred to as the Irish Potatoe Famine. During the time of the famine, more than a million people died in Ireland and another million people emigrated from Ireland. The total population of the country decreased by 20 to 25%. The total number of Irish immigrants to the United States from 1820 to 1930 was about 4.5 million people. The people who came were mostly those who could not make a living in Ireland. If you have Irish ancestors, you might want to know some of this history. By the way, if you think we have a refugee problem today, think about when all the Irish were coming to America. Many of the people I have talked to over the years claim to have American Indian ancestors. Do you know anything about the history of Indians in America after the Europeans arrived? Would you know anything about the tribe that your ancestors were supposed to belong to? What do you know about the history of the state or states where your family lived? Do you know when the first European settlers arrived in that state? Do you know how and when your family came to the state? Because of my Mormon Pioneer ancestors, I can answer all those questions and many more in detail. But I find a lot of people have little or no knowledge about the history of the places where their ancestors lived. Another example, many of the people I talk to have "German" ancestors. Do you know where your ancestors really came from? I am going to guess that in most cases, they did not come from a place called "Germany." I could go on and on with examples. What can you do? Go online and look for a book about the history of the country where your ancestors lived. Extend that to the states, counties, and cities. Take some time, which will be well spent, in learning about where they lived and while you are at it, plan a vacation trip to visit all the places. If you have ever been to a Costco warehouse store, you know about the cultural trait in the United States of "large" and "larger" and "giant." Sometimes, we buy at other stores just so we don't have to have two gallons or five gallons of something we only use from time-to-time. Unfortunately, large size has invaded the larger, online genealogical community. Size is apparently considered a selling point. Especially with the larger online digital websites, size has become an end in itself. Rather than quality or relevancy, size is considered the issue. My comment on size is that the largest database in the world is not large enough if it doesn't have what you are looking for. You might see other references also. The problem is that none of these terms have fixed definitions. For example, what if I look at a probate file of an accounting of the sale of an estate's assets. There could be dozens of people listed who purchased items from the estate. Are each of these people counted by the database hosting the accounting of that sale? What about a Census record? is one sheet of the U.S. Federal Census a record (usually with about fifty names) or is each person's line in the report a "record?" There is another statement that is supposed to help that states, "Ancestry currently manages about 10 petabytes of structured and unstructured data, including billions of records detailing births, marriages, deaths, military service, and immigration. Despite this claim, I frequently do not find what I am looking for on Ancestry.com. Sometimes I do, sometimes I don't. It is a valuable website, but the numbers do not help me find what I am looking for. How do you compare Ancestry's claim to FamilySearch.org? FamilySearch claims 4+ billion names from all over the world but also claims 4.4 searchable records online and 1.26 billion digital images. MyHeritage.com lists 9.1 billion records in 6,532 collections. How does this compare to the other websites? There are other websites that are also claiming to have the largest online collections of records. What does this really mean? GenealogyBank.com is a digital newspaper website. It claims over 2 billion genealogy records. What is a genealogy record in a newspaper? Isn't it possible that almost any name mentioned in a newspaper could possibly have genealogical value? Many of these online websites are extremely valuable to genealogists doing research, but what happens if your family came from Mauritania or Tibet? Where do you go to find records about your family? Do any of the large online billions of records help at all? I think it might be more productive if the genealogy companies acknowledged that their collections have limitations and gave you an easy way to find out if you should spend any time looking at their collections. This has happened with the FamilySearch.org Catalog, the Ancestry.com card catalog, the Findmypast.com A to Z of record sets and the MyHeritage.com Collection Catalog. But it would be nice if there was a way to quickly tell if the geographic area of your search was even part of their collections. This article, published on July 2, 2018, in its Abstract makes the claim that the named researchers have been able to send a 661 Terabits of data, equivalent to the more than the total current internet traffic through a single-mode 30-core optical fiber. 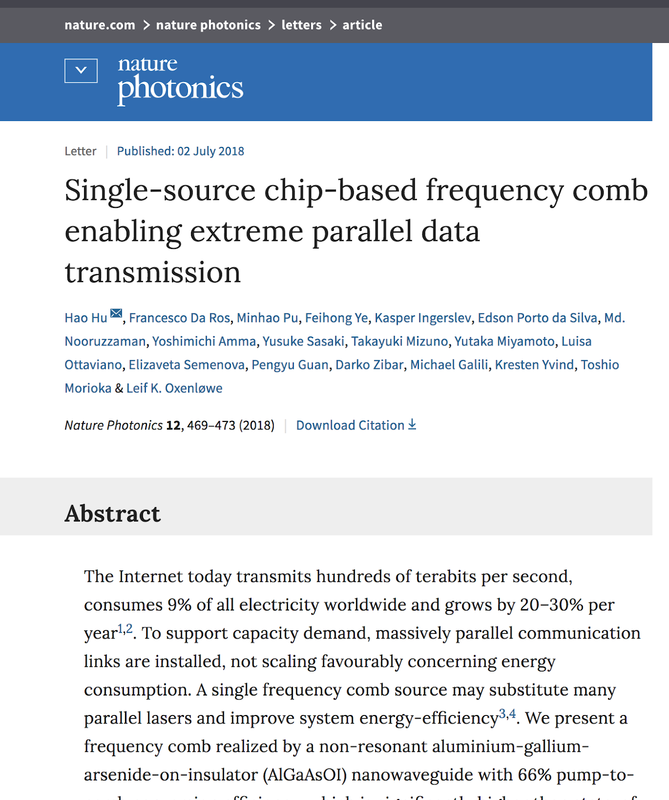 The content of the article was reviewed by arstechnica.com in an article entitled, "661Tbps through a single optical fiber: The mind boggles." I am not going to attempt to explain how this is done, but I can suggest that, if this is the case, then the cost and time of transmitting data around the world are about to drop precipitously. Artificial intelligence (AI) as applied to computer systems has been the topic of extensive research for many years. It is inevitable that some aspects of genealogy have been and will be affected by AI. However, rather than replacing humans and automating genealogy, most AI research today is aimed at a way of augmenting human activities or intellect. So what are the areas of genealogical research that can be augmented? To understand what is happening now and what may be effects of AI in the near future, we need to understand what areas of the methodology involved in tracking down one's ancestors and relatives could be enhanced or accelerated by the application of programs utilizing AI. 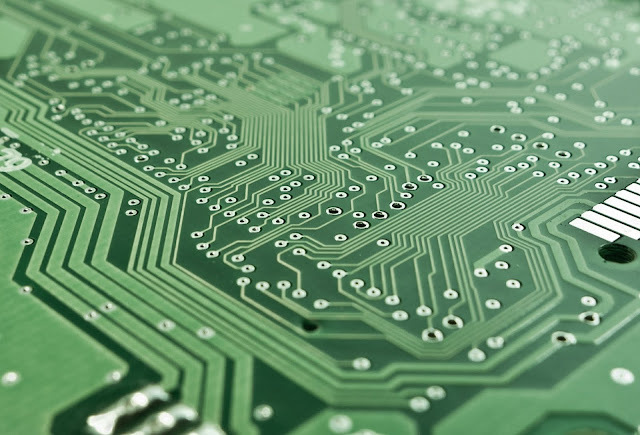 If we examine the basic functions of genealogical research, we can see those areas presently affected by AI and those areas that will be affected. If you think about these and other possible functions of the genealogical research process, you can see that some, if not all of them, have already been measurably affected by intelligent computer programs. There are, however, some gaps that reflect some of the more difficult problems that remain yet unsolved. For example, optical character recognition technology allows a computer program to read some digitized text. Then search programs such as the current "record hint" technology provide suggested relationships expressed by the OCR text. 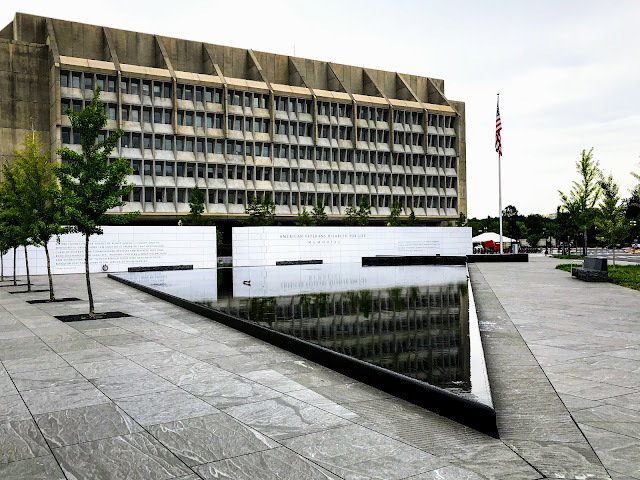 These programs replace the need to manually transcribe the text, but some of the record hint technology is still dependent on manual indexing of the records by extracting specifically selected elements. These limitations are imposed by the idiosyncratic nature of the content and arrangement of information in historical documents. The ultimate existing limitation of text recognition is the inability of computer programs to efficiently recognize the content of handwritten historical documents. Although character recognition has made great strides, the parsing of the text within the documents is still an obstacle. This can be done with standardized entries with specifically identified information such as an address on an envelope or entries in a census form but becomes a major challenge with documents that lack formal structure such as letters, obituaries, and other handwritten documents. Another example comes from utilizing the current record hint technology. Although with indexed documents, the accuracy of such hints is very high, there is still a significant need for manual review of the hints to assure that they apply to the appropriate individuals. Record entry, especially when there is repetitious information can be measurably increased with automated entry suggestions. The danger here is that automatic information is entered when the suggestion is actually inappropriate. Organizing masses of genealogical data has always been a huge challenge. However, the advent of large, unified, collaborative online family trees has measurably decreased the need for individual storage. 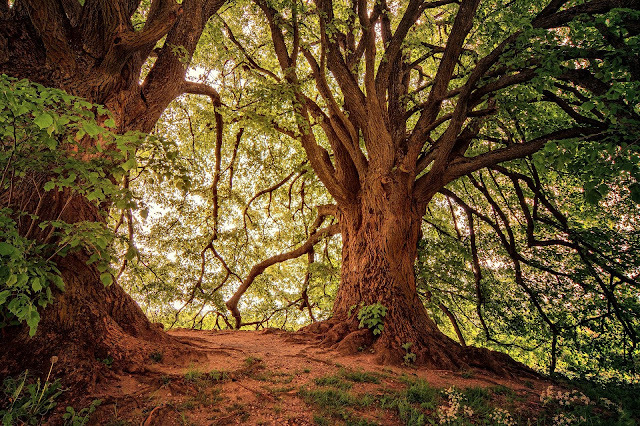 The other aspects of the genealogical research process such as duplicate detection, communication, watching for changes in individual records and connecting relationships are semi-automated but still subject to improvement. Genealogy programs are becoming "smarter" all the time, but there is still a substantial need for individual human intervention and that state of affairs is not likely to change in the near future.